No country can grow and prosper economically without a sustainably favourable environment that enables business to thrive. Indeed, no state can flourish economically and progressively improve the socioeconomic condition of its people if it lacks workable economic policies and business-friendly atmosphere. To engender economic prosperity, those who drive the machinery of government must manifestly see to it that they constantly initiate and implement policies that make for the thriving of business and competitiveness, and continually address challenges that may hamper the booming of business even as they beat every path of available opportunities therein. To do otherwise is to stagnate, nurture poverty, and worsen the human condition. The foregoing position is a fitting summary of the strongly considered conclusions of a notable organisation, PricewaterhouseCoopers (PwC), based on a report of its findings in a recently conducted study in the area of State-Level Business Environment. Entitled “Promoting Economic Prosperity: Analysis of the State-Level Business Environment in Nigeria”, the report provides findings from the State-Level Business Environment Analysis carried out in four different states of Anambra (Southeast), Edo (Southsouth), Ogun (Southwest), and Niger (North Central). PwC’s 2017 study was informed by two specific objectives, viz to “[i]dentify challenges and opportunities for doing business, and examples of good practices in the focus states; and provide key recommendations as to how the United Kingdom (UK) can broaden prosperity and commercial engagements that help Nigerian states make the most of their economic development opportunities”. It must be noted that the report is “a sequel to the March 2016 publication [of PwC] which evaluates the key sectors of opportunity for UK businesses in Nigeria”. In drawing its conclusions based on its findings with regard to the realities of the business environment from each of the focused states, the agency informed that it “used a combination of quantitative analysis of publicly available data as well as insights gathered from interviews with a sample of private sector companies, key state parastatals, business and trade groups, and development agencies”. For each of the states, the study reveals that certain positive efforts are already in place and others are being taken to nurture such business-friendly environment that encourages effective competitiveness, motivates investment and boost investors’ confidence and, consequently, realise economic prosperity for the people. In the case of Edo State, which is the focus of this piece, the study explicitly affirms the fact that the state government demonstrates renewed interest in significantly improving the business environment in the state through workable policies and decisive engagement of the challenges in the business sphere. It captures the unembellished and unfeigned reality that the state government has a deep business-oriented consciousness, hence its organised move to improve and build public infrastructure, expand revenue base, improve the capacity of the workforce, and provide incentives that attract investors. This is not any surprising when viewed against the backdrop of the fact that Governor Godwin Obaseki is a business-oriented mind with a rich trove of experience in the private sector. It is this background that the man brings to the service of the state as its chief executive officer. As the study rightly observes, the Obaseki administration wastes no time in walking the path of economic prosperity for the state. Within three months of taking office, the administration was able to perfect a trade mission to China in order to attract relevant investors to the state. 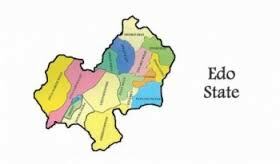 As every business-inclined entity is wont to do, the outlined goal of making Edo State an emporium of economic prosperity within the Southsouth region is being undertaken through a carefully mapped-out plan of institutional reforms, economic revolution, culture and tourism, environmental sustainability, socio-welfare enhancement, and infrastructure development. This inclusive governance structure, as the PwC report describes it, is the administration’s way of ensuring that it avoids a one-sided, limiting development culture. Similarly, it is worthy of note that the commitment of the Obaseki administration, like its immediate predecessor, to the socioeconomic development of Edo State is not a ruse. In other words, the vision is not a feel-good idea for which the government has no means of actualising it. As the PwC report asserts, “Edo state has abundant resources to support its prosperity agenda”. The government is keenly aware of this and it is methodically and consistently taking the right step to make judicious use of the resources. One of those resources being effectively harnessed for the economic development of the state is in the area of agriculture. The Agripreneur Programme initiated by the government is a worthy example of how it is using available resources to transform the state economically and considerably reduce unemployment. Additionally, the development of a major seaport is another means through which Edo State under Governor Obaseki is creating a business-favouring environment for the prosperity of the Edo people. The Gelegele Seaport has as its major features an agribusiness development park, marine facilities, an inland port, and supporting infrastructure and facilities. Already, since large conglomerates such as BUA and Dangote group consider the state an attractive investment destination, according to PwC, it may yet emerge “as a trade hub for the southern region with significant impact on its prosperity”. To achieve its objectives through agriculture, the state government must also heed the concerns respondents raised as contained in the PwC report. According to them, what constrain business in the agricultural sector include “[i]nsufficient funding, limited agriculture research, poor network of feeder roads and inadequate skills and funding to upgrade the agriculture sector”. In the area of revenue, the state government is deeply uncomfortable with the envelop economy that ensures that its biggest source of revenue comes from the monthly statutory federal allocation to states. This disinterest in depending solely on Abuja for big income has inspired a coordinated move towards aggressive improvement in the state’s Internally Generated Revenue (IGR). What this presupposes is that Edo State must intensify and sustain its efforts to expand its income base. Every creative means necessary must be explored to achieve, for in the view of the researchers of that study, it “requires significant increases to its IGR and total revenue to meet both recurrent and capital expenditures”. It cannot afford to relent in its legitimate strive to expand its revenue portals if the prosperity it hankers for is to materialise. More precisely, the government must not at any point renege on its laudable commitment to such initiatives as taxes, land, infrastructure, public-private partnership scheme, and execution of business-friendly policies as practical means of enhancing business environment in the state. Again, while study finds out that “Edo has recorded improvements in the areas of starting a business and enforcing contracts”, it observes that it still has a few more strides to take “in other indicators”, which include dealing with construction permits and registering a property. The challenges in these areas require urgent stout responses to enable the state widens its business-friendly domain. The enabling business environment the administration in the state is given to is also being realised through the principle of transparency and commitment to the rule of law. The developed and now available Edo State Open Data platform helps in the quick dissemination of information on government contracts and initiatives as well as receiving feedback from the populace. There is also the Public Procurement Law to guide the process for government contracts. Trust is critical to the success of any contract and institution of business-favourable environment. The Edo State Government is very much aware of this, hence the embracing of the transparency culture. Its zero tolerance for corruption is also a huge plus. The Obaseki administration is equally determined to use industrialisation to boost its attainment of economic prosperity for Edo State. This becomes necessary in view of the fact that, as the PwC study reports, Edo State, in spite of “the abundance of solid minerals and gas, which serve as raw materials for manufacturers, the state currently has no industrial cluster and only has a handful of manufacturers of scale”. In order to put an end to this anomaly, the state government has designed a number of ideas, chief among which is the industrialisation park being developed. There is the Ossiomo Industrial park project which is expected to attract close to USD 1 billion in Foreign Direct Investment. “According to the Department for Public-Private Partnerships, the Overseas Private Investment Corporation (OPIC) is considering a significant commitment in the project,” the study informs. The Gelegele Seaport has discussions ongoing on it already while “private sector investors like the Atlantique Marine and Engineering Services (AMES) are also exploring plans to develop industrial parks within the state”. Tax breaks for fresh investors and strategic infrastructure development constitute, among others, the incentives the state government is providing to attract investors into the state. Technology-based reform in the civil service and across all sectors of the state forms another pivotal move of the administration in Edo State to engender economic prosperity. The report lists a couple of areas in the civil service and state where carefully conceived technological reforms are taking place. What is clear from this is that the governor and his team are fully aware of the benefits of technology to the actualisation of socioeconomic prosperity and are therefore wasting no time in deploying it. A truly modern Edo State is gradually but surely emerging. As the PwC study equally makes clear, the Obaseki administration’s hands are firmly on the plough of development for all-round economic prosperity in the state. It is unswervingly labouring to become a reference point in building a truly business friendly environment. Its efforts towards restoring and maintaining the human dignity of the people are yielding the desired fruits as the misery of unemployment is being pointedly reduced. It is quite unlikely that the administration will look back; it has identified the ways and means through which to make the state a business hub and investor-friendly. It is getting creatively and productively busy in those directions.